My son once told me (when he was far away from me), “It’s cool we can both look at the same moon even when I’m hundreds of miles away. How true that is. To have that one connection makes us feel like we are not so quite alone. I gain comfort from looking up into the sky at the distant moon and knowing at that same instant my son is seeing the same thing. Just by seeing that moon I gain hope, I gain confidence and I gain comfort. My kids are not so far away, after all, we are all looking at the same moon in the sky. Oh how I need hope. This world is not an easy one to live in. Heartache, worry, and stress are our worldly companions. Day in and day out Satan lays traps to take our eyes off Christ and he puts worldly strife in our hearts. But we are not supposed to live that way, Look at Hebrews 6:19-20. 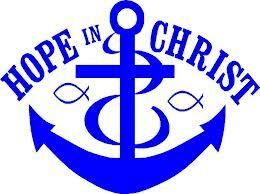 There it tells us we have a hope that is an anchor of the soul, a hope both sure and steadfast. He wants us to know He is near and He is watching over us. I’m only speaking for myself, but I’m not sure that we are living like we have that kind of hope. 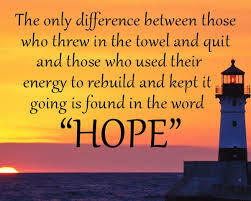 I read this weekend a wonderful quote, “Hope is the silver cord that connects us to heaven”. What a beautiful thought. We have a direct link to heaven, are we living like we do? I got home from visiting my parents last night and as I was unpacking the camper I came across a card Mom had stuck in a bag of goodies for Earl and I. She wrote that Earl and I are living a life that her and Dad had dreamed of but never got to fulfill. But in the very next statement, without missing a beat she gives thanks to God for 56 years of a great and loving marriage. That takes my breath away. She is living a tough life but she has not lost her hope, and she has not lost her thankfulness. I think I can learn a thing or two from my Mom. In Christ we have it all, but we tend to forget we have it all. We definitely forget to thank God for the things we do have and the hope and promises we live with. 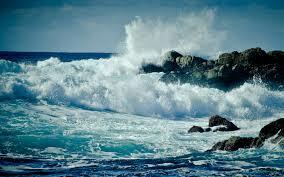 God gives us the encouragement we need, He gives us the assurances we need. He wants us to live with hope and assurance and to know beyond the shadow of a doubt that His promises to us will come to fruition and that our days ahead are in His care. He wants us to know with confidence that we will inherit all He promises. We can bank on that hope, we can trust in it and feel secure in it. Are we thankful for that kind of confidence? Just like looking at the moon in the sky reminds me that my kids are safe where they are and we are looking at the same moon, God gives us the Bible to hold on too, to take to heart and to remind us He is near. 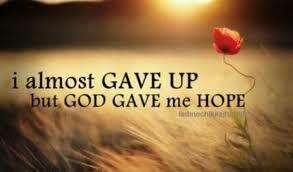 God gives us a direct line to talk to Him, He gives us a silver cord of hope linked directly to heaven. I will grab hold of my silver cord of hope, I will meditate on the Bible, I will walk with God, I will pray and talk with my God, I will remember the sacrifices given for me. I will grab hold of my silver cord of hope and know that someday I will walk with Him hand in hand, and someday I will talk with Him face to face. Thank you God for that moon you put in the sky……………you did that just for me, right? Think about the people you have met on your motorcycle. I think of the guy in the Snowy Range Mountains of WY who took our photo in front of Lake Marie. That beautiful photograph now adorns our wall. I think about the weary traveler who lost his sister to a motorcycle crash earlier in the week, I think about the lady who sought us out in a restaurant as we were waiting for a table, just to tell us thank you for the work we do. You know the people I am talking about, the lost souls who somehow gravitated to you, the battered and beaten spouses who somehow found their way to you. The lonely widower, the spunky new retiree, the young man on his first bike, you know who they are and you remember talking to them. Now, let’s switch gears here for just a minute. You are a born again believer and you know that time in not on our side. You are anxiously waiting on heaven. 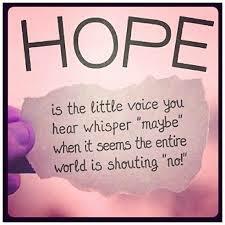 There is nothing that can take that hope away from you. It fills you every day, it boils within you until it spills out in your life. It is seen in your every action, every reaction, every thought. Living for Christ is who you are and what you do. Our bikes become a mighty tool, we jump on and go on a search and rescue mission for God. But what if we rode our motorcycles just to ride, just to enjoy the scenery, just to feel the wind in our hair and to experience those glorious twisties and turns we all seek out. My heart has never sang quite as joyous a song as when I saw a roadside sign last summer on a trip that said “Curvy road next 99 miles”! We do experience all that (and love it more than a little) but if that is all we ride for we are stealing hope. We are stealing the future and we are robbing unbelievers of the chance for the glorious love that fills our every pore. What if we are the only person to connect with a certain somebody and give the message of hope that Jesus Christ offers? What if our words are the only words that somehow get through the walls and fortress that so often are built around hearts? We are robbing ourselves of knowing we made a difference. I doubt very much any one of us would give up what we experience every single day with Christ in our lives without a lot of kicking, screaming and an all-out war. How can we rob someone else of the chance to experience what we cherish so much? Look what we go through to follow Christ. It is not easy but yet we are steadfast in our pursuit. Finally we are robbing God of the glory that is ultimately and completely His as He adopts new followers into His family. I want to offer hope, not steal it! Ever had one of those moments when you want to throw in the towel on doing the right thing? You know what I’m talking about, when the “oh poor me” factor takes ahold and you are uttering under your breath, I try so hard to do what’s right and I end up being the one who gets hurt/ loses/ looks like a fool. Or what about the more hurtful times when you are honestly seeking and following what God is telling you and the situation gets a little sticky (just like you and God had chatted about)? Of course this is the time that everyone tells you what you should be doing differently. What do you do when good intentions are misunderstood or misinterpreted? When seeking and following Gods lead is questioned, when you are doing the best you can, the best you know how and it still doesn’t turn out like you expected? Or what about those blasted hurtful opinions when your troubles are played out in a more public forum than you anticipated and your actions are questioned? What do you do in the times when you want to throw in the towel on doing the right thing and get in there and fight dirty with the rest of the players. How do you keep from withdrawing to guard your heart and how do you keep doing the right thing when it is so hard? Unfortunately the road God sends us down, is at times, filled with muck and on that road, there will be other travelers and those other travelers will have something to say. How do you stay the course that in your heart you know God is sending you on when it hurts so damn bad at times? How do you stay the course when you are road weary and ready to disappear? Unfortunately convenience and comfort is not always a factor when we are choosing to seek and follow God. How do you stay the God given course you are on? One step at a time with a spirit that lets you finally see the plans He has for you. Remember, His plans are to prosper you and to make all things work for good. His love is infinite and unshakable, He is there when you cry out, guaranteed. You are the one who wants to flee, not God. Be willing to drop the hurt that you cling to and realize that people will have opinions, of course they will but more often than not they are offered in love whether it feels like it or not. Throw down and stomp those thoughts that are detrimental to your journey. When you are road weary and want to go on permanent vacation……………Don’t concentrate on the things that hurt you, look for the things that heal you. So when you are seeking and following God, when times are tough and the going is anything but smooth, STAY YOUR COURSE, do what God is telling you to do, because if you don’t do it, there is no one else who can. You are where you are because God put you there to do a job. He didn’t ask those watching, He didn’t wait for approval and He doesn’t expect you to get your approval from anyone BUT HIM. Have the courage to follow the one who can make the destination of the journey a reality. “But what will the neighbors think?” Or what will staff think, or my friends think, or any one of a hundred different people think? We all say we don’t care what others think……….but we all know we do care. Authenticity has been on my mind a great deal lately. Are we all so busy trying to be who we think we are supposed to be that we lose sight of who we really are? Well, as someone who has had time lately to ponder this thought, I would have to say, yes. We all want to be authentic and to a certain degree we usually are. But authenticity isn’t something we have or don’t have, to be authentic is to make a conscious choice of how we want to live, every single day. This is where it gets a little messy, throw a little self-doubt or shame in the game and you can sell yourself out in a nano-second and be anybody you need to be. I’m quite certain that is not a quality trait. Why is it that we are afraid to be imperfect and to be vulnerable? Why do we have trouble believing that we are, in and of ourselves, enough? I don’t know one person who at least to some degree does not try to be a good person and live a life defined by morality and integrity. Granted the degrees vary but I don’t know many people who wake up and say, I think I’ll do everything in my power today to make people think I am a lying snake in the grass and a despicable person. How then do we get so darned off course? I guess it depends on who you are asking. But am I asking the right question? If I can figure out who God made me to be it might be a great deal easier trying to live an authentic life. Knowing who we are in Christ seems like a great place to start. These are the things God made us to be. I like to think that God loves us because of who we are, not in spite of who we are. Perfectionism, forget it because by ourselves we cannot attain it. Becoming perfect is not a quick self-improvement project, perfectionism is more like trying over and over to earn approval and acceptance and never quite attaining it. To strive for perfectionism is to concentrate on what I accomplish and how well I accomplish it. God offers the easier way. As long as I am trying, as long as I am seeking guidance and wisdom from my Father I know I am heading in the right direction. That does not mean that everyone is going to agree with every decision I make or that I am always going to know exactly what to do. It does mean that God is guiding this journey I am on and no matter what happens on my way to living an authentic life, I can count on Him to be the one who shows me what authenticity looks like. When God puts you flat on your back the phrase “A time for everything” takes on a whole new meaning. I have always taken a lot of pride in keeping my life balanced and keeping things running smoothly. Then suddenly when God puts you flat on your back “until further notice” it is hard not to try to keep balancing all the balls. It didn’t help to ask “Why now?” I kept forgetting that God’s timing is certainly not my timing and that this season was handpicked by God for a particular reason. It didn’t matter that this season is not particularly my favorite and there are a lot of other seasons that I would enjoy a whole lot more. But how do you respond to God when He places you in an inconvenient, uncomfortable and unpleasant season? Well. I could whine and certainly have been known to, or I can look at this as an opportunity to learn something more about God, to learn something more about me and to figure out how to fit the two together. Now, the thing is when He makes all things new, He does it in different ways. He might use a new person in our lives, a new community, or He might work from within us, there are lots of possibilities. By taking the time to commune with my Father at this time I am able to discern if the direction I am going is the direction God would have me go. Sometimes you have to let go of the old and familiar before you can grasp onto the new. I think that sometimes we even hold onto things that aren’t good for us just because it is easier than journeying into the unknown. However, when God is calling you to transition or to change, it is probably good to take notice. For some of us, change is easy, and exciting. For some though, it is downright scary. Whichever side you come down on rest assured that you will be faced with transition at some point. This is also the time to note that God is with you, and He will be there every step of the way and He wants to heal us and restore us. Maybe this time of refreshing that God is putting me through is for my own good? It might be a wonderful time to pause and take inventory to see if I’m still on track with what God has planned for me. Actually I can’t think of a better way to spend time recovering that praying and seeking God. I know that God will fill me with His grace, His courage, His strength and His love and His compassion and as that is happening my time of rest will become more restoring and rewarding. I am sitting here in my bed and vowing to listen to my Dr the rest of the time I am recovering. Orders are to rest and stay pretty close to home. This past couple days has given me ample time to ponder. The pondering tonight was on Hope for the Heart Biker Church. Tonight was the first “official service” of Hope for the Heart Biker Church. I was not supposed to be out of bed but I could ‘t stay home. What I am pondering is the fact that God has brought us together with a group of amazing people to spread the Gospel. I am also pondering on the fact that He is using motorcycles to do that. To those of us who ride, this is no surprise. There is no better way to start a conversation than with your bike. Bikers are also people that at least during the riding season, are apt to be out riding rather than in church on a Sunday morning. God seems to have missed no detail in planting this church when He suggested Friday evenings, it is a great way to start a weekend ride. Testimonies were given last night, and the story of how God whispered this church into reality. There was no pretense, there was no hierarchy, there was only the love of God and the unquenched desire to let as many know of Him as we are capable of reaching. I will be the first to tell you that those who ride motorcycles are a special breed of people with a common thread binding us all together. If God has told you to get on your bike and minister, you do it, if God has told you to plant a biker church you do it. Does this mean it is not scary? Absolutely not, stepping out of our comfort zone is hard for all of us. Does this mean that Satan won’t throw every monkey wrench into the works that he can in the hopes of crippling this new church. Absolutely not, before the first service we saw jobs lost, medical emergencies and crippling fear, and those are just the troubles I know about. However, just as Satan knows, God wins! Stand on the truth because we know that God won’t lie to us, it is impossible for that to happen. God will never stop being, He is the same yesterday, today and tomorrow. I don’t know about you, but to me that is remarkable and so comforting. One service, the first service and this is what I got. Comfort, confidence, worries were replaced by thankfulness, I found hope and joy and deep down inside happiness. I truly believe that God loves all of us and is seeking us out, He is preparing the way and He will take care of us as this church grows. How do I know this? Sometimes life brings us opportunities that change our perspectives. I was sitting in my office talking with a good friend about a difficult health situation that I am facing and the difficult circumstances at work and the conversation turned to perspective, our perspective of our lives. Somehow the frustrations of my life were taking precedence over the realities I had available as the Daughter of Royalty. God does not bring us suffering or difficult situations just for the sake of suffering, when (not if) He brings us to something that is difficult, there is a purpose. However that situation does often have a way of changing one’s perspective. It is quite simple really, God will give us the grace to endure………………if we let Him. 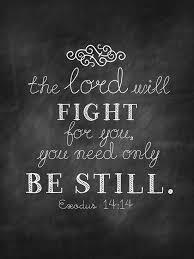 He gives us all the tools we need to make it through. That sounds like advice I will apply to my life, even when my life gets dark. 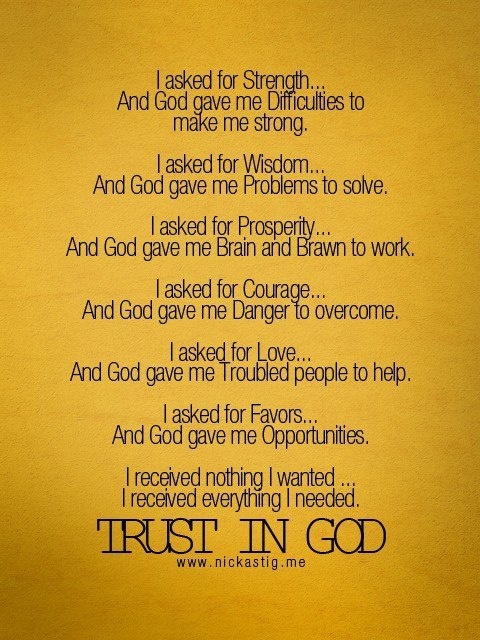 God is my engineer, I will choose to stay aboard and endure the, at times dark ride. So during this storm in my life, I choose to remember how big God is. I choose to understand that sometimes God will wreck my plans instead of letting my plans wreck me. I choose to understand that the struggle I am facing today is developing the strength I need for tomorrow. I choose to remind myself that yes, His plans are indeed better than my dream and it is only when I am down to nothing that the realization comes that God is up to something. So today, I am changing my perspective. I will remember what is important and what is not. And I will remember that no matter what……………………………God Has This.